Dr Christopher Dudley is involved in all aspects of renal medicine with a particular interest in vasculitis and renal transplantation. He has been a member of a number of UK Transplant subgroups, working parties and guideline committees and is Secretary of the British Transplantation Society. 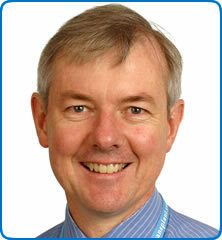 He is currently Clinical Director of Renal & Transplant Directorate and is a Regional Advisor for Nephrology in the South West.